Women's navy velvet trousers by Brax Feel Good, style Mary. 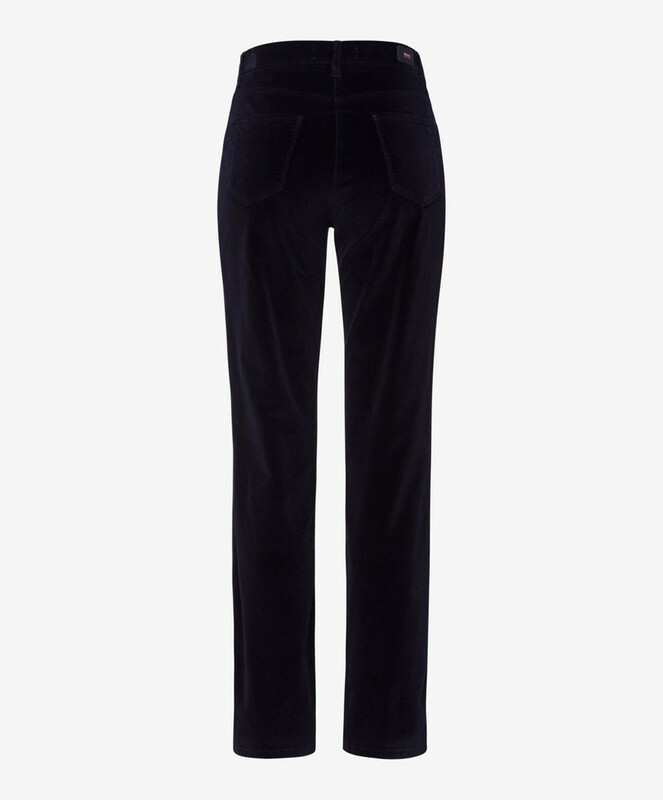 Welcome the season with these silky smooth velvet trousers, rich and full of texture, they are a dream to wear. 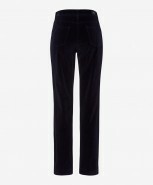 Designed with a slim thigh, a straight leg and high rise waist for the practical yet style concious woman. 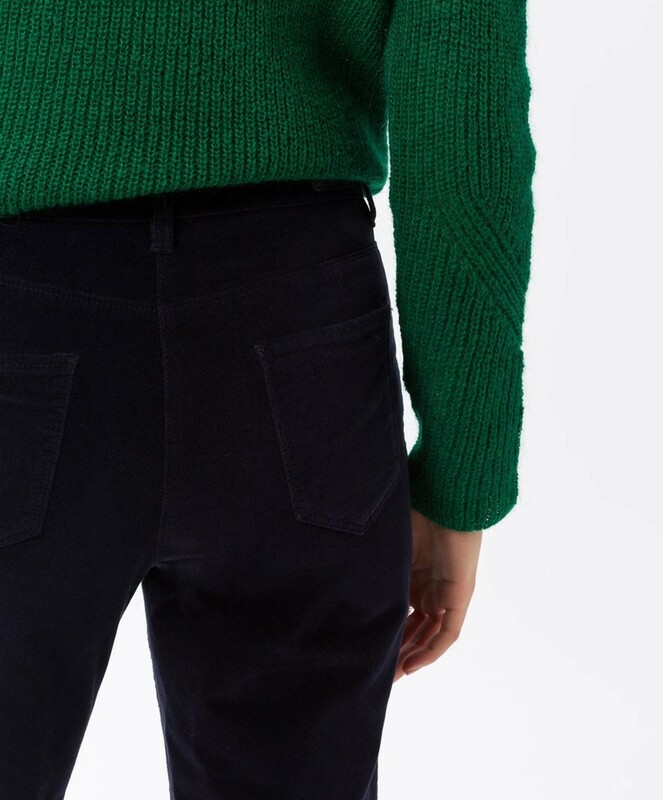 In the traditional five pocket style with freedom to move.